At Orchard Point Harbour, it’s easy to forget that you’re only an hour outside of the GTA. 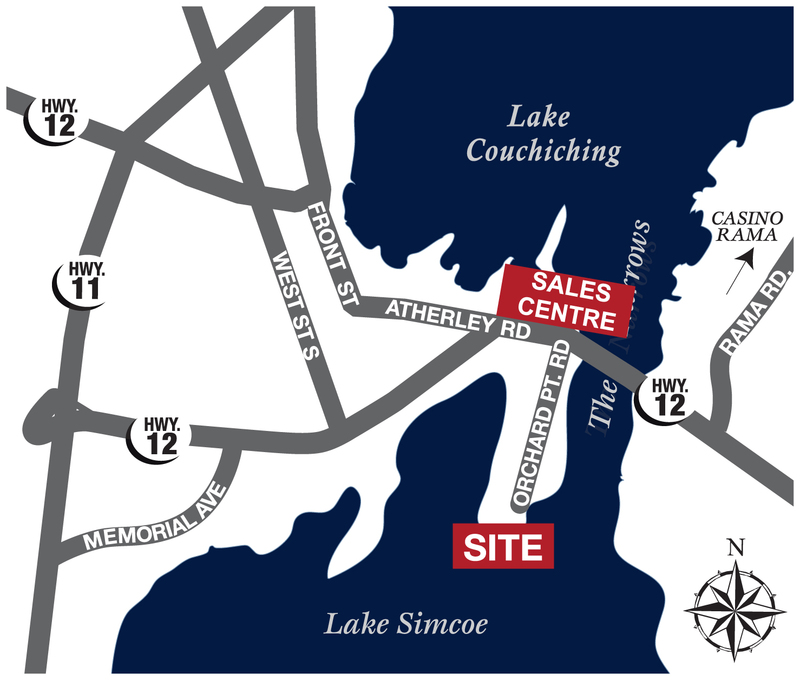 Here, at the meeting between Lake Simcoe and Lake Couchiching, you’ll feel worlds away while staying conveniently close to Toronto. Just minutes from Casino Rama! Orillia’s history began at the Narrows – at the very site where Orchard Point Harbour now sits. Originally a place where travellers rested, the land between the two lakes in Orillia has a long and rich heritage spanning over 4000 years. Archeologists have concluded that both the Huron and Iroquois peoples gathered here to hunt, fish, and trade. It is thought that The Narrows remained largely unchanged until the 1820’s. It was at this time that English and French families began to settle the surrounding area and in 1867, the settlement was incorporated as a village. The many explorers, pioneers and artists who made their mark on Orillia are celebrated throughout the city on monuments and street names. Stephen Leacock modeled his town of Mariposa on Orillia in his Canadian classic, “Sunshine Sketches of a Little Town” (1911). Today, Orillia is a year-round resort city aptly known as ‘The Sunshine City’.